Easter turkeys are now available! We're still at the farm! We have undergone some changes, and while you will not see us at the St. Jacobs Farmers Market, we're still at the farm! We are excited to serve you - pop by our farm store today! 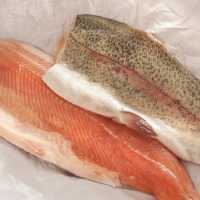 We strive to provide the freshest products possible to you and your family. We only buy fresh! We only buy local! We hold our suppliers to the highest standards. 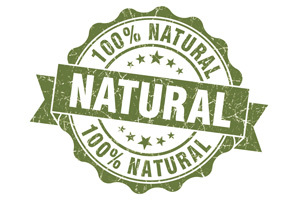 Our products are gluten-free, lactose-free, and contain no artificial hormones. 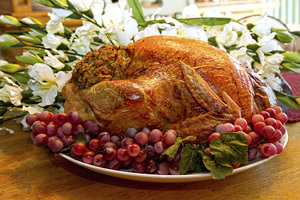 It's not too late to order your Easter Turkey, Chicken, Ham, Duck or Rabbit. View our selection or call our Farm Store today! Visit us at our farm store! Come and visit Don & Karen Reist! Get directions to the farm store! For your everyday shopping place your order online anytime! Just remember to give us 24 hours to have it ready for pick up! Since 1975, Karen and Donald Reist have been using the very best meat and poultry from local farmers to provide delicious, all-natural products. We’re proud to be one of the original vendors at the St. Jacobs Farmers’ Market and to provide the Kitchener-Waterloo area with healthy, homegrown choices. You care about what goes on your kitchen table. So do we. We’ve built our reputation on offering products that are natural, simple and fresh and scouring the countryside for farms that meet our rigorous standards. Come see for yourself! Say hi to us at the St. Jacobs Farmers’ Market, or stop by our farm store in Bloomingdale for a fun and relaxed shopping experience. 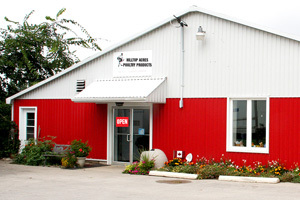 Hilltop Acres Poultry offers high-quality food you can feel good about serving your family. From grain-fed free-run poultry, to meat we grind ourselves, to ducks raised by Mennonites down the road, we focus on providing fresh and frozen products that are delicious, top notch and locally sourced. Our all-natural offerings are free of wheat, gluten, lactose, and antibiotics. Additionally, no hormones are added, and you also won’t find any added salt and water to our poultry.